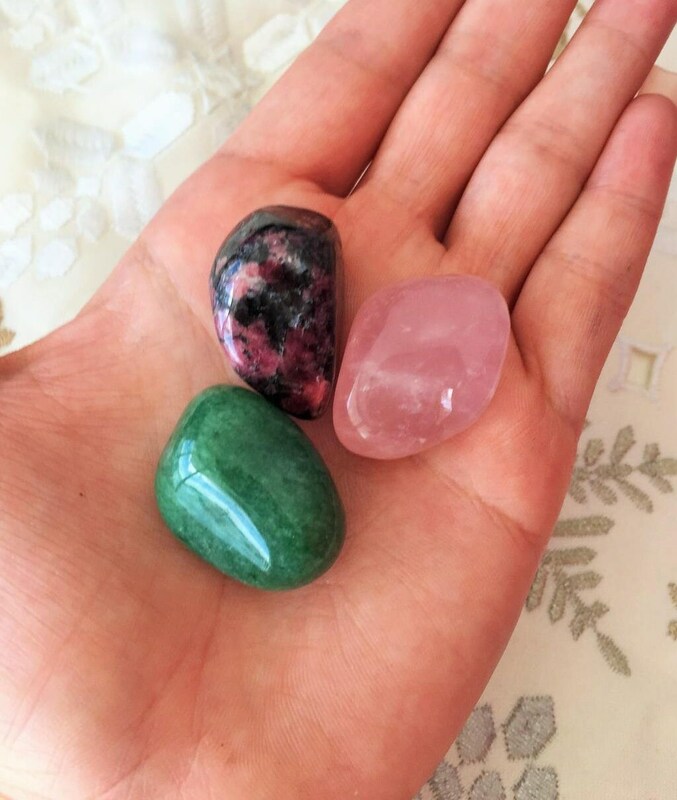 Receive this healing crystal set that combined promotes love and acceptance. These stones vibrate energies of forgiveness, humility, and patience. It teaches us to open our hearts and to be tender, peaceful, and gentle. SIZE-1 X 1 Inch or bigger. 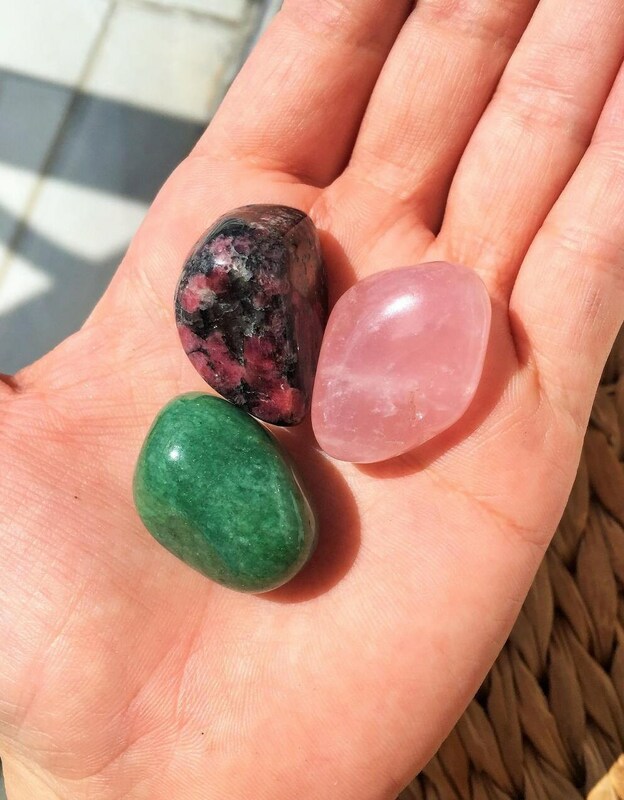 Listing includes 1Rose Quartz, 1 Rhodonite and 1 Green Aventurine Gemstones as seen in the pictures. Green Aventurine is connected with the Earth element. It promotes feelings of wellbeing, lifts spirits and allows you to see a different perspective that otherwise could cause anger or irritation. It protects & nurtures the heart bringing peace and stability. Rhodonite is a stone of compassion, grace and elegance. It stimulates, clears and activates the heart chakra and opens one to unconditional love. Rhodonite also promotes inner growth and helps one to attract love and achieve self-love. This stone allows one to see areas in their life that can be improved on without criticizing or judging oneself.